Did you experience a shooting pain in your back while trying to get off your couch? Or was it the long hours you spent sitting at work that triggered the pain? Irrespective of the reason, you know that it is not your usual back pain as it seems to stretch much lower, towards your buttocks. This pain that begins from your back and extends all the way to your lower legs is nothing but the result of irritation or inflammation of your sciatic nerve. Has sciatic nerve pain been an issue with you lately? Then, your worries can take a backseat as we bring to you some of the best natural ways to treat it. Read on. Sciatica is another term used for sciatic nerve pain. This pain typically extends from the lower back and radiates towards your knees. The sciatic nerve is the largest nerve in your body, and it begins from the nerve roots in your spinal cord and extends to your lower limbs through your buttocks. Let us now look at the causes of sciatic nerve pain. If the pain results from an abnormality of an intervertebral disc, it is referred to as radiculopathy. Whatever may be the cause, its symptoms are no less than a nightmare and range in their severity. The signs and symptoms that surface with the onset of sciatic nerve pain are listed below. Now that you have a fair idea of sciatic nerve pain, here are some of the best and most effective home remedies that can provide relief from the symptoms of the condition and also speed up recovery. Add the milk, water, and crushed garlic cloves to a saucepan and bring it to a boil. Simmer for 5 minutes and then strain the milk. Allow it to cool a bit. Add a little honey. 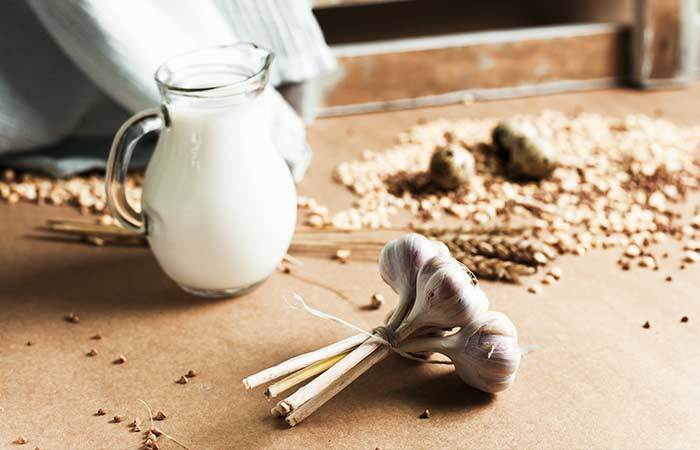 Drink a cup of garlic milk twice a day. Garlic is a powerful therapeutic herb that is widely used for its distinct flavor and multiple health benefits. The anti-inflammatory activity of garlic is highly beneficial in reducing the inflammation and pain that accompany sciatica (1), (2). Take a clean washcloth and dip it in some warm water. Wring out the excess water and place it on the affected area. Once your body absorbs the heat, soak the washcloth again and repeat the process. Alternatively, you can also put some ice cubes in a washcloth and place it on the affected area. A hot or cold compress is one of the easiest and most effective ways to treat sciatic nerve pain. While a hot compress can reduce inflammation and pain to a large extent, a cold compress can numb the pain (3), (4). Both hot and cold compresses act as effective pain relievers and give quick relief from sciatica. 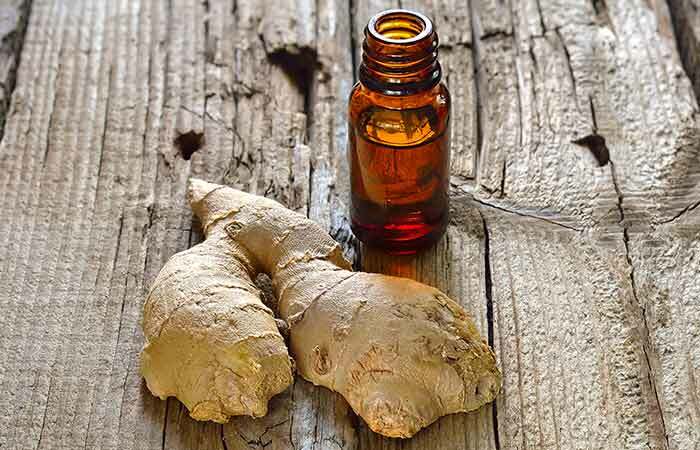 Mix ginger essential oil with a carrier oil of your choice. Ginger essential oil has a wide range of benefits. It is extracted from a flowering plant and is an integral part of folk medicine. Ginger oil is known to be soothing and can help in relieving sciatic nerve pain (5), (6). 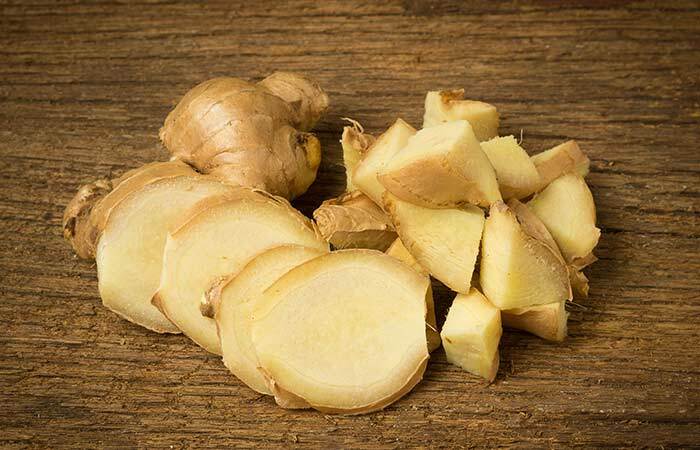 Ginger also contains a pungent constituent called -gingerol, which is said to have anesthetic effects (7). The combined effect of these properties can be quite effective in treating sciatica and its symptoms. You must do this 1-2 times daily. 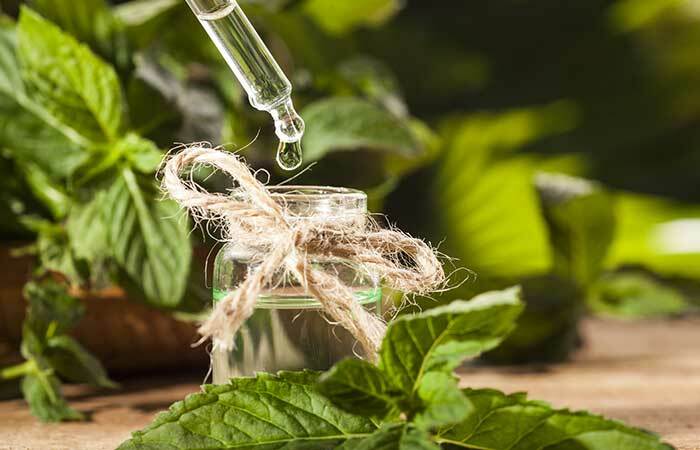 Peppermint is widely used as a pain reliever. It possesses amazing anti-inflammatory and analgesic properties, which can help in reducing the pain and inflammation associated with sciatic nerve pain and also speed up your recovery (8), (9). Add ginger to a cup of hot water and allow it to steep for 10 to 15 minutes. Strain the ginger tea and let it cool down a bit. When the tea is not too hot, you can add a little bit of honey to it. Drink ginger tea at least thrice daily. While ginger oil can provide relief from sciatica externally, ginger tea can help heal sciatic nerve pain internally. The anti-inflammatory and analgesic nature of ginger, as discussed before, can help in reducing the inflammation and pain associated with sciatica (10), (11). Add a teaspoon of turmeric powder to a cup of hot milk. You can also make a paste of turmeric and sesame oil and massage it on the affected area. Most of the beneficial properties of turmeric are due to the presence of curcumin in it. 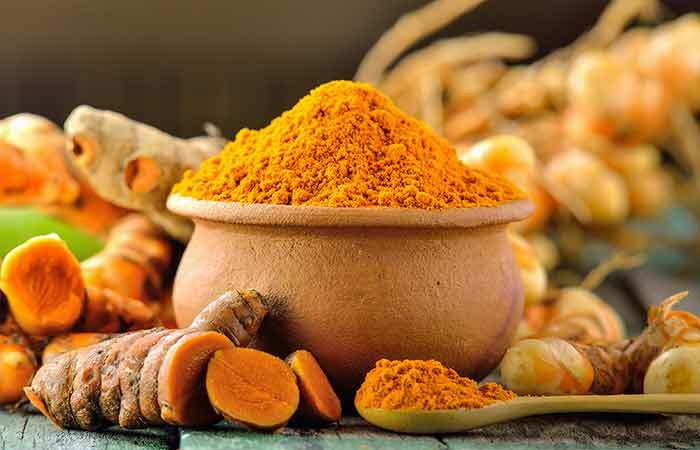 Curcumin is not only anti-inflammatory but also possesses analgesic properties, which can be quite helpful in relieving sciatica and its symptoms like pain and inflammation (12), (13). The intake of certain vitamins and minerals can help accelerate the treatment of sciatica. Vitamins B12, C, and D can help reduce the pain and inflammation (14), (15). Consuming about 1000 mg of magnesium and 2000 mg of calcium daily is also said to relieve the pressure on your nerves (16). 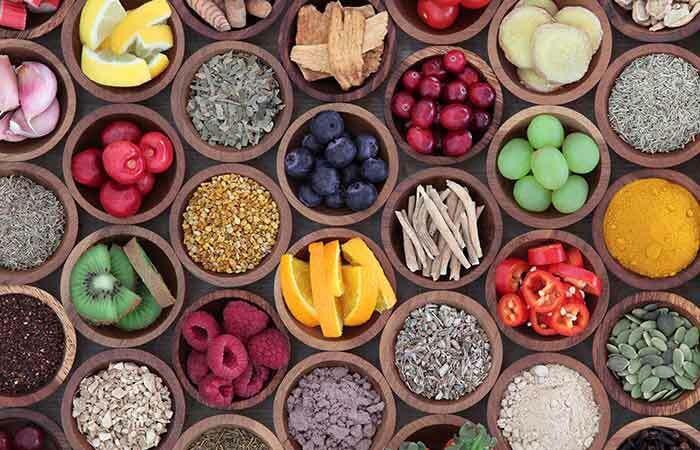 Instead of taking supplements of these vitamins and minerals, you can simply consume a diet rich in these like citrus fruits, milk, cheese, green vegetables, beans, and nuts. If you want to take additional supplements, it is always better to consult a healthcare professional before doing so (17). Take some fresh celery and cut it into small pieces. Add water to the cut celery and blend. Add a little honey to this and consume the juice. Drink a cup of celery juice twice a day. 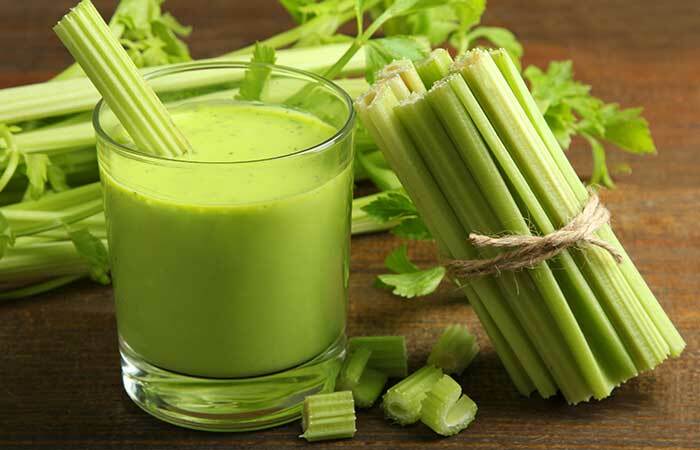 Celery juice is another natural way to treat sciatic nerve pain quite effectively. It helps reduce the pain and inflammation as it has excellent anti-inflammatory and pain-relieving properties (18). Add valerian root to water and bring this to a boil. Allow it to cool for some time. Add a little honey to it. Drink valerian tea 3-4 times daily. 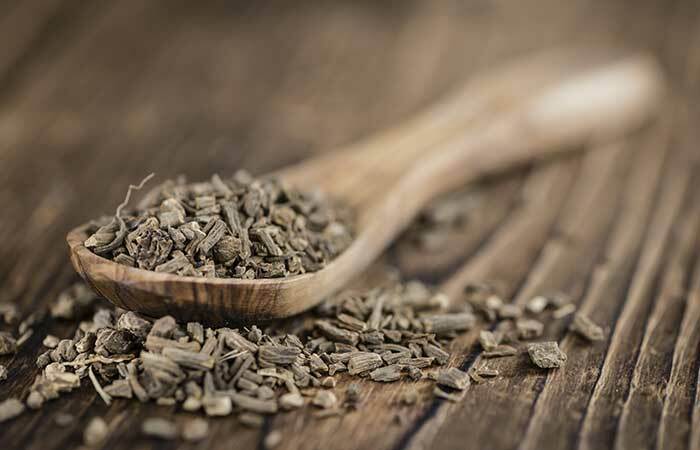 Valerian root has been widely used for ages to solve various issues. Its natural anti-inflammatory and antispasmodic properties can help in relaxing the muscles around your sciatic nerve and reduce the pain and inflammation (19). Mix the powdered fenugreek seeds with boiled milk.The paste shouldn’t be too runny. Apply the paste all over the affected area and allow it to dry. You can also boil some fenugreek seeds with water and consume it daily. Thanks to the amazing anti-inflammatory and analgesic properties of fenugreek, you can use it to relieve sciatic nerve pain and its symptoms (20). 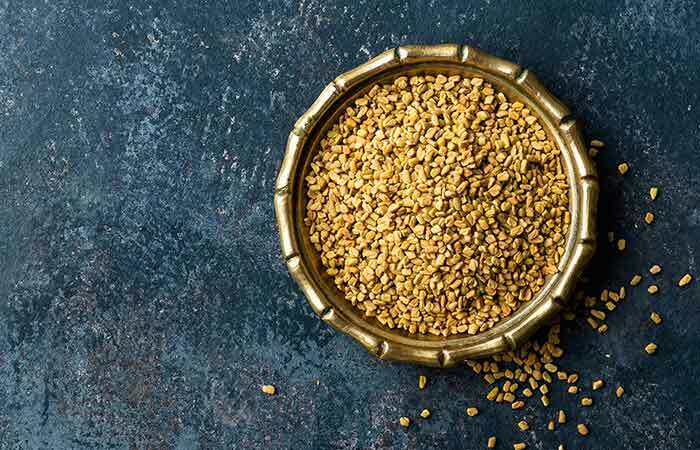 Fenugreek contains a petroleum ether compound that gives it its anti-inflammatory properties and helps relieve sciatic nerve pain (21), (22). Add two teaspoons of white willow bark to a cup of water. Allow it to cool. Add some honey and drink the tea. 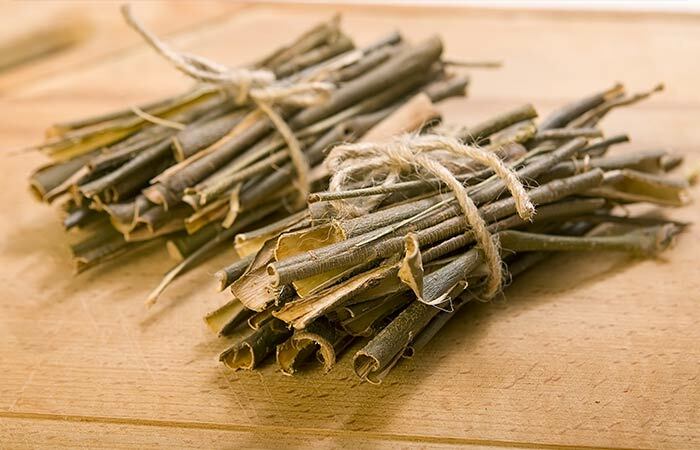 You must drink willow bark tea 3-4 times daily for maximum benefits. White willow bark contains an active ingredient called salicin. The widely-used painkiller, aspirin, is a derivative of salicin. Salicin exhibits anti-inflammatory and analgesic properties that can be beneficial in treating sciatic nerve pain and inflammation (23), (24), (25). 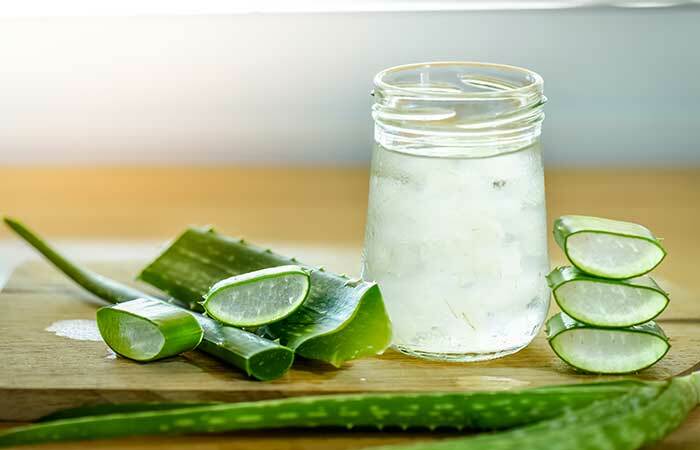 Consume one-fourth glass of fresh aloe vera juice. You can also apply a thin layer of aloe vera gel on the affected area. The anti-inflammatory and soothing properties of aloe vera are quite well known. The polysaccharides and anti-inflammatory compounds present in aloe vera impart healing properties to it (26). Studies have proved that aloe vera is quite effective in treating sciatica due to the presence of certain ethanolic extracts, thereby making it a potential cure for sciatic nerve pain (27). Add a teaspoon of organic elderberry to a cup of hot water. Strain and drink the tea before it turns cold. You can also add a little honey to it to improve its taste. 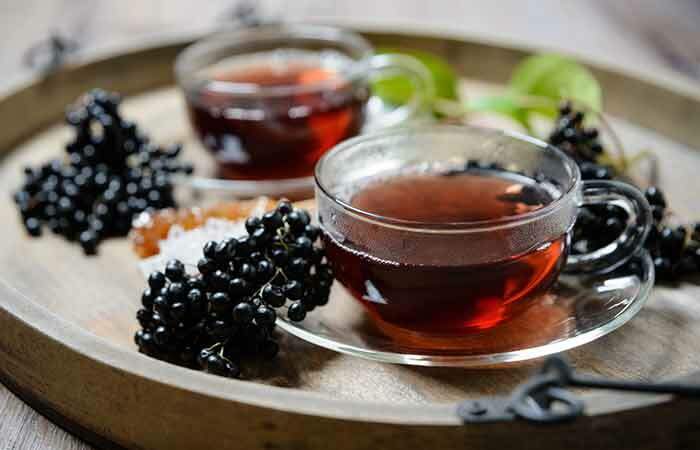 Drink elderberry tea 2-3 times daily. Elderberry can help relieve sciatica due to its ability to reduce inflammation and pain naturally (28). Grind the horseradish to make a thick paste. Apply this paste all over the affected area and wrap it with a clean washcloth. 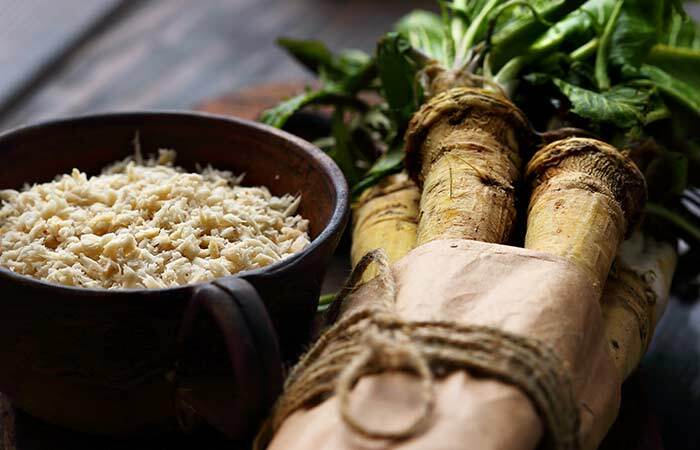 Horseradish possesses natural healing and anti-inflammatory properties that can help in treating sciatica and its painful symptoms (29). Add a teaspoon of chamomile herb to a cup of hot water. Strain the chamomile tea and let it cool for some time. Add a little honey to it and drink it before it turns cold. 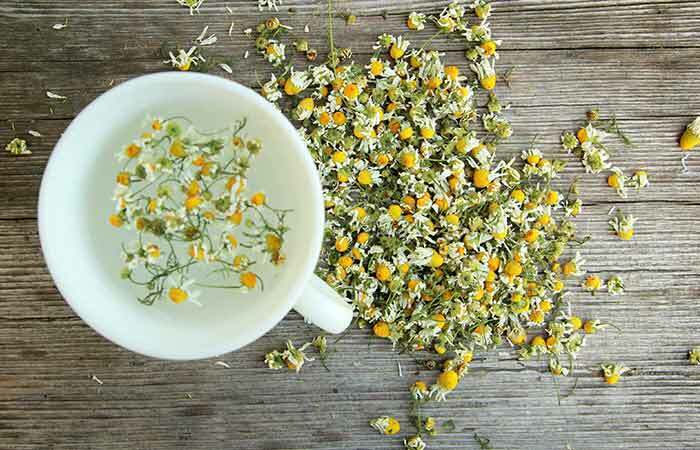 Chamomile is another ancient herb that is widely used for its medicinal properties. It is anti-inflammatory in nature and is also known to soothe and relieve pain (30), (31). These properties can be utilized to treat sciatica. 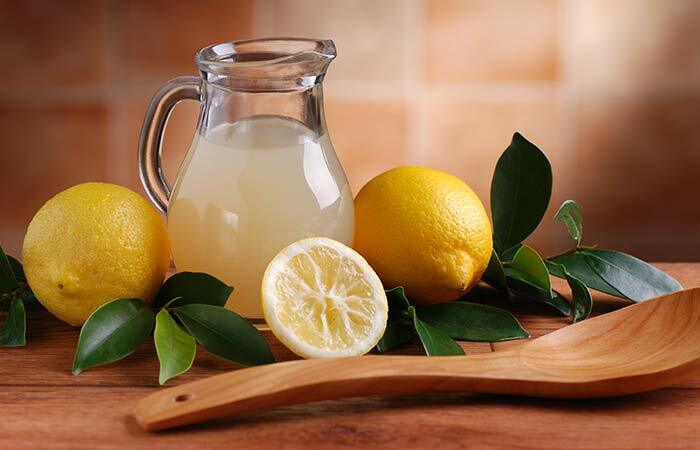 Squeeze the juice from half a lemon and mix it well with a glass of water. Add honey to the lemon flavored water and consume daily. Lemons are rich in vitamin C (32). Vitamin C can reduce sciatica and its symptoms with its anti-inflammatory properties (33), (34). Add the apple cider vinegar to a bucket of warm water. Add a cup of Epsom salt to this and mix well. Soak your feet in this warm solution for 10 to 15 minutes. You can do this 3-4 times a week. Warm saline solution is quite effective in relieving the pain and inflammation that accompany sciatic nerve pain. 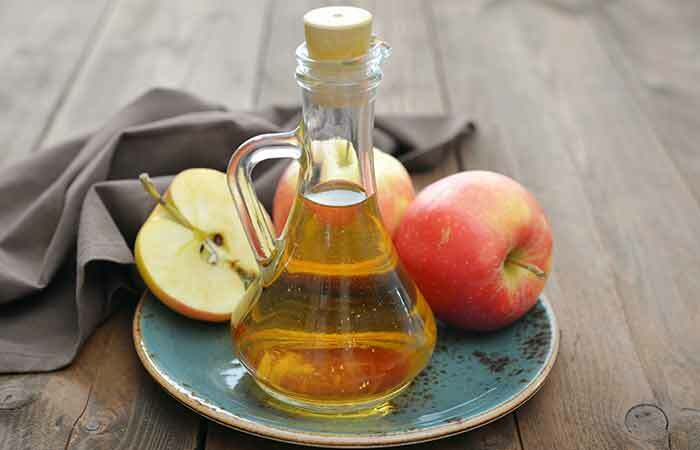 The addition of apple cider vinegar to this solution makes it even more effective in relieving sciatica due to its anti-inflammatory properties (35), (36). The remedies listed above will help cure sciatica naturally. Here are a few preventive tips to increase the efficiency of your treatment against sciatic nerve pain. Massage the affected area for relief from the throbbing pain that accompanies sciatica and prevent further discomfort. Practise yoga and exercises that require stretching of your hamstrings and lower back. Maintain proper posture while sitting. Sitting with your knees elevated can reduce the pressure on your spine. Follow an anti-inflammatory diet that consists of plenty of leafy vegetables, water, turmeric, fish, and eggs. Also, increase your intake of foods rich in magnesium and vitamin B12. Bend your knees while lifting heavy objects. Avoid movements that involve sudden twists or jerks that can affect the spine. Sciatic nerve pain can affect anyone at any point in time, but with the simple remedies discussed here, you can deal with this condition easily. However, if you experience immense and unbearable pain, visit your physician immediately. If these remedies and tips were helpful, do share your experience with us by commenting in the box below. What is the best sleeping position for sciatic nerve pain? The best sleeping position for those suffering from sciatic nerve pain is to lie flat on the back. Following this, you can stuff pillows under your knees until you find a comfortable position for your knee. Can a chiropractor help with sciatica pain? Yes. As a practitioner who treats and diagnoses musculoskeletal disorders, a chiropractor can help with the alignment of your sciatic nerve to relieve pain. Why am I facing sciatica pain while driving? Driving requires you to sit for long hours at a stretch. This may cause pain in the lumbar spine because of the constant pressure on it. Is swimming good for sciatic nerve pain? Yes, swimming is good for sciatic nerve pain. Although movement of any kind seems quite painful when you are suffering from sciatica, exercising and moving around are the best ways to alleviate the pain. Swimming is an aerobic exercise that makes your body release endorphins (pain-relieving hormones), which can help with sciatic pain. 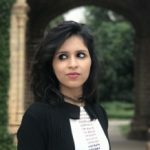 What is the best sitting position for sciatica? While sitting, always support your back and plant your feet on the ground to prevent sciatica. You can also slightly elevate your legs to reduce the pressure on your spine from sitting for too long.